[OSV Tutorial] "The valuation chart and Action Score contradict each other?!?" The past couple of tutorials, I've been talking about the Action Score combinations and value traps. There's another important factor to consider before we hit the climax of building a portfolio. It's the most frequently asked questions by our Insiders. "Why on earth is Arm Holdings (ARMH) rated a B if the intrinsic value shows that it is overvalued? I can't trust what the Action Score is telling me." 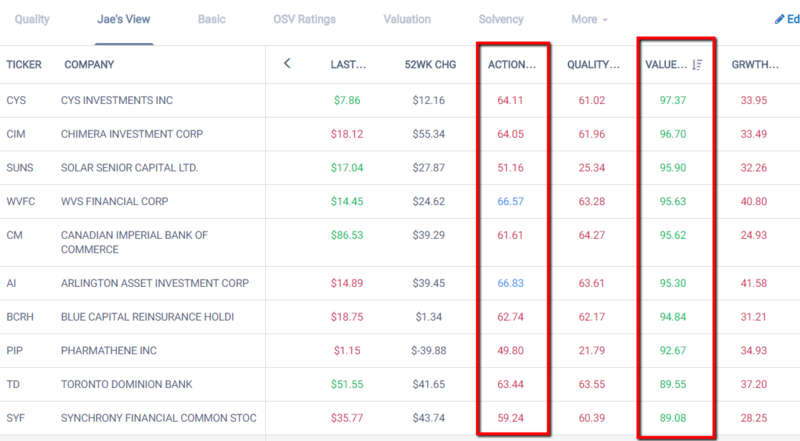 Although the valuation shows that the stock price is above fair value, the Action Score shows that it is a nice pick. The Action Score grading system is not based on the valuation models. Sounds counter intuitive, but here's why. The simple answer is that valuation is more art than science. Change one input and it can dramatically change the fair value. Because of this nature, valuation is a qualitative technique, not a quantitative technique. It should not be should used to create ranks or scores. I say this confidently because I've spent 6 years trying to find a way - and failed. Valuation should be considered as moving targets and calculated in ranges. Not as absolute values you anchor on. When you include valuation (or margin of safety) into the equation, you unknowingly open the floodgates to value traps. Because valuation only looks at value. Recall in the tutorial "Reading the Action Score combinations and what it's telling you" I posted this image. When you focus too much on valuation in the beginning, you end up looking for C grade Value Traps. When I first started, I used valuation as a filter. To decide whether it was cheap enough to investigate. For years, I got into a lot of value traps because I was ignoring value and growth. Figured that if it was cheap enough, everything will solve itself. But because you can control which pitch to swing at, the Action Score's selective process helps me pick winners and avoid losers at a much higher probability. 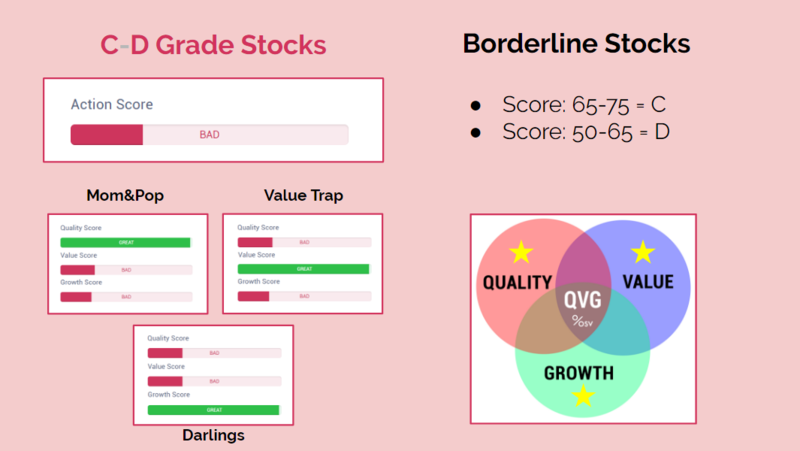 Here are the types of companies you get if you focus too much on value. Now, getting back to Arm Holdings. Some additional thoughts I get when looking at the fair value chart vs Action Sore bars. Here's another example with Hawaiian Holdings (HA). Fantastic OSV ratings, but looks way overvalued. That's because the chart is based on the default DCF. The default DCF uses the EPS as the starting point. If the cash flow method was changed to a traditional FCF, the chart then looks like this. But which one is correct? You won't know until you dig in manually. But a computer does know that if the P/FCF and EV/EBIT is less than 10, it's cheap. Ultimately, what we are all looking for are stocks that will do good in the future. By anchoring on past stock price, you get the impression that it is overvalued, but when you look at the current situation, it’s an entirely different story. Look at HA again by ignoring the stock price. These are fantastic numbers for a company and not overvalued at all. That's why for busy investors, it's important to trust the process. For active investors, use valuation as part of the manual checking process. Not as an automatic filter. You've come a long way already and I know you're going to be excited to put all this into practice. Up next, we have another important topic to cover - handling volatility in the Action Score. 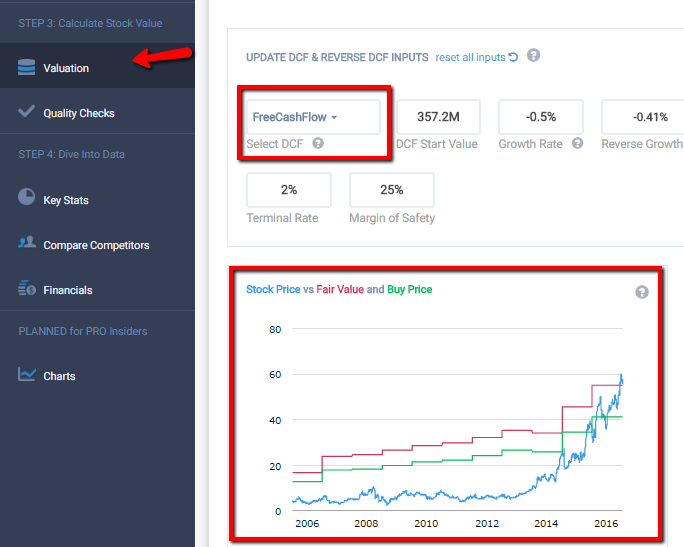 Hi Jae, Where possible, can you provide some rule of thumb guidelines as to undervalued/fair value/overvalued for the categories such as P/FCF, EV/EBIT etc. If you go to OSV Ratings and then look at the explanations on the right, you'll see the range that we use.